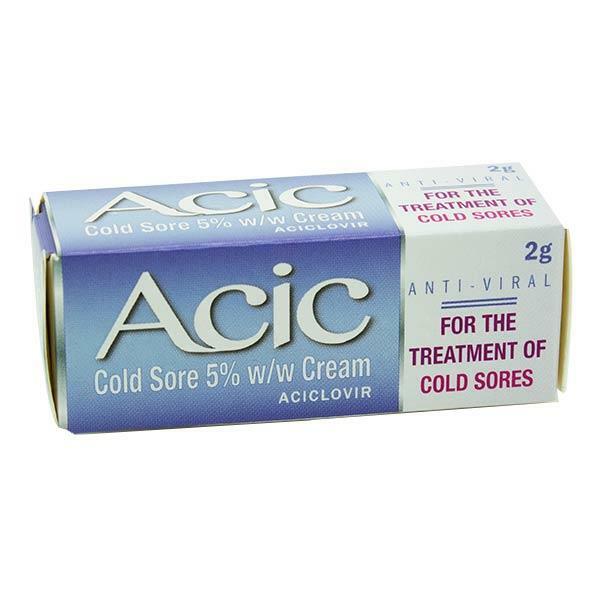 Acic 5% Cream Cold Sore Treatment is used to treat cold sores. These are caused by the herpes simplex virus. This cream contains 50 milligrams of aciclovir per gram. Start using the cream when you get the first signs of infection. You may see skin blisters or be able to recognise the tingle sensation that means a blister will soon appear. Spread a thin layer of cream onto the cold sore about every 4 hours during your day (5 times per day), using a cotton bud. Contains 50 milligrams of aciclovir per gram. This product is for use in adults and children. As with all medication, please consult your doctor if you are pregnant or breast-feeding before using this product. This medication should not impair your ability to drive or use machinery, however if you are affected in any way do not drive or use machinery. This medication can have side-effects, like all medicines, although these are usually mild and do not affect everyone. If you experience any side effects, please consult your doctor.